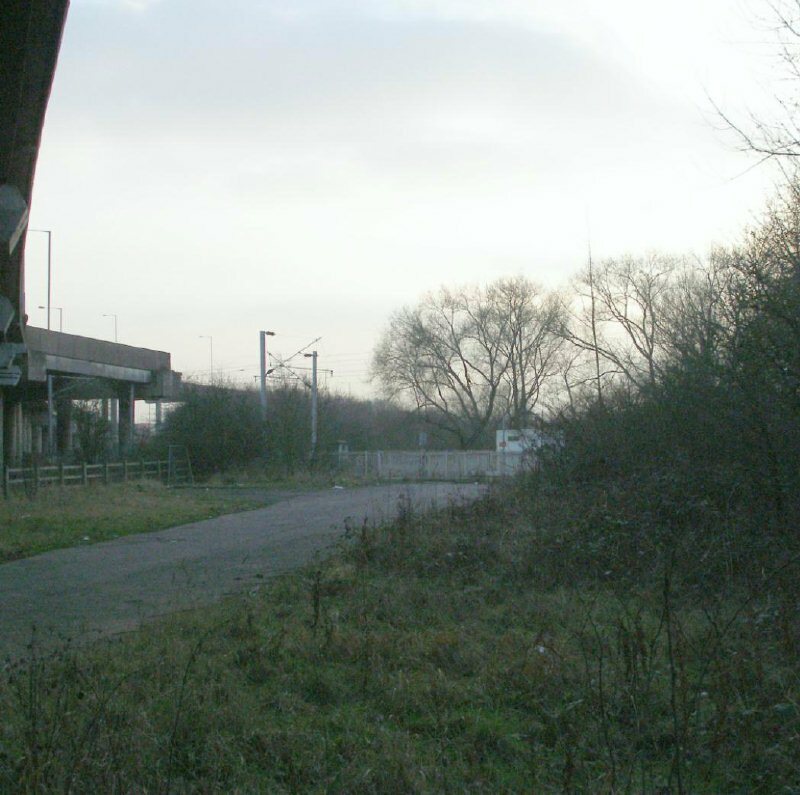 The following shots show the seldomly photographed site(s) of Newton Road station. 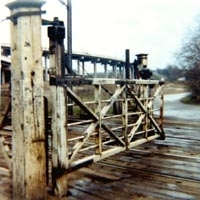 The shots of the crossing, apart from the black and white shot, are largely from 1973/1974 - four years before the signal box was removed - and show it in a very neglected state. 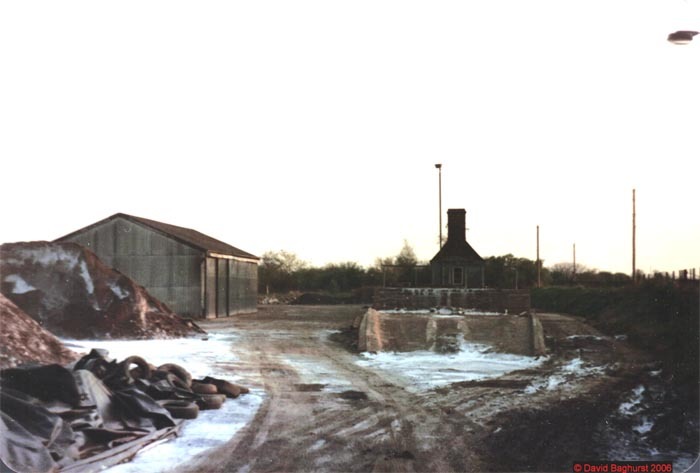 The photos were sent in by Gareth and give a great glimpse into the past at, what is now, a rather remote and desolate spot. Long-gone signal box at the site of Newton Road station versions 1 and 3 at the junction of Charlemont Rd/Ray Hall Lane, seen here in 1960. The crossing site again some 20 years later minus signal box and with the M5 looming to the left. 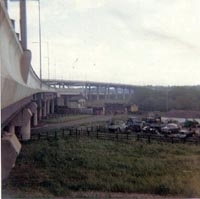 A slightly earlier shot than previously, apparently taken from the M5! 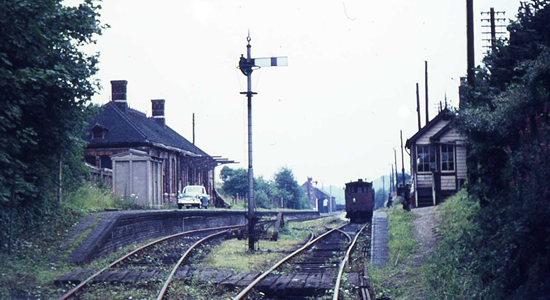 This shows the signal box still in situ in 1972. A lineside view of the signal box looking towards Birmingham with the station site to the rear. 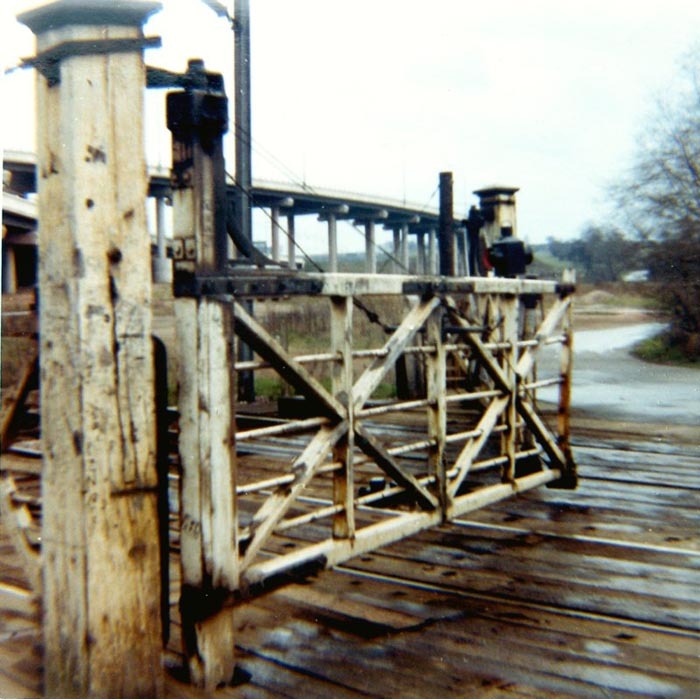 The crossing gates looking very delapidated. 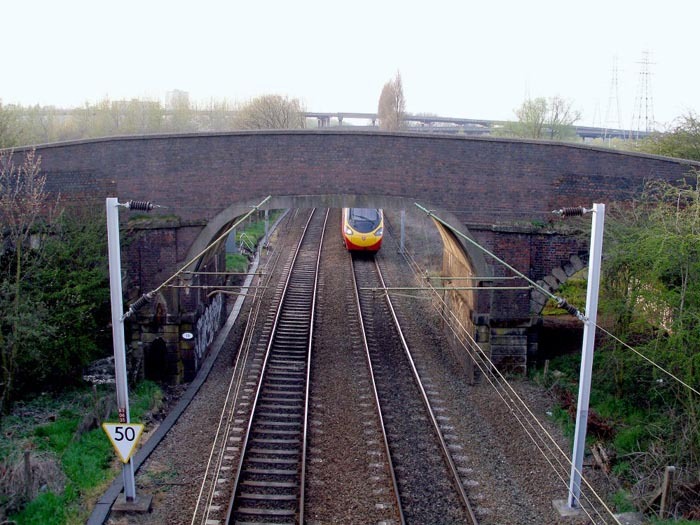 A Pendolino about to pass the site, roughly, of the first and third incarnations of Newton Road station in 2006. 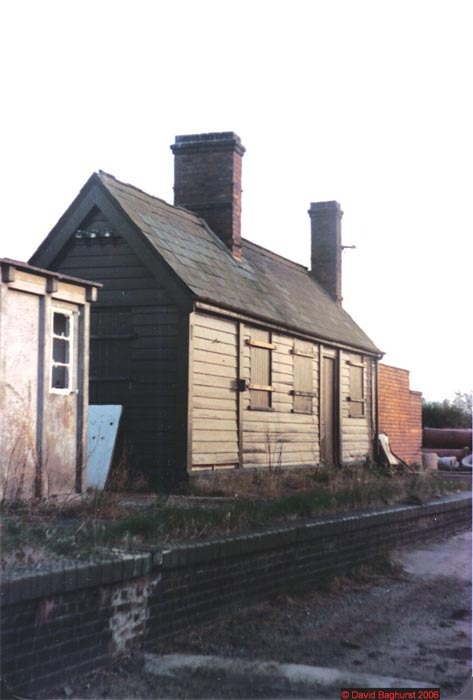 David Baghurst kindly sent in the following photographs of Broom Station, which I have yet to visit for this site, showing it in a disused state in April 1982. 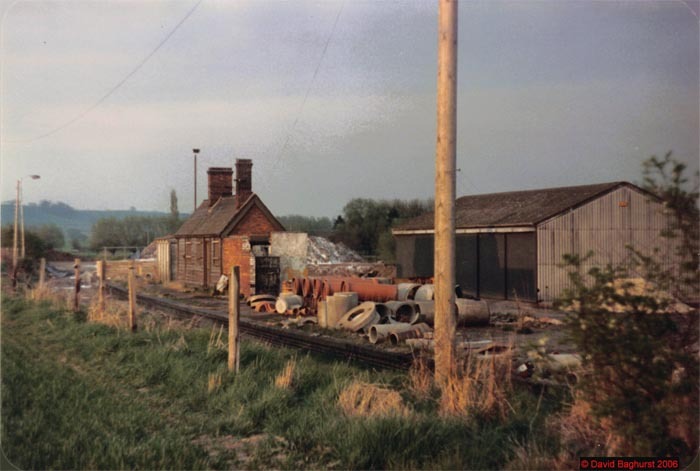 Dave took the shots using a Zenith E 35mm camera and points out that some of the shots were a little dark but I think they are an excellent addition to the site and show great detail of this little country station on the Long-defunct Midland Railway line from Barnt Green down to Evesham. Accompanying notes are by David Baghurst. 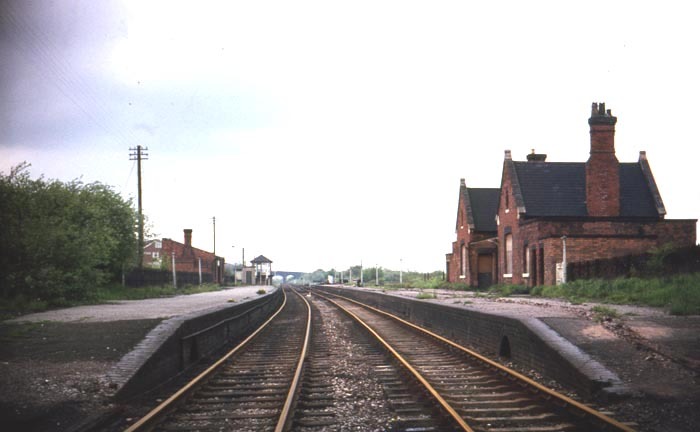 Broom Junction station from Wixford looking towards Stratford and Evesham. 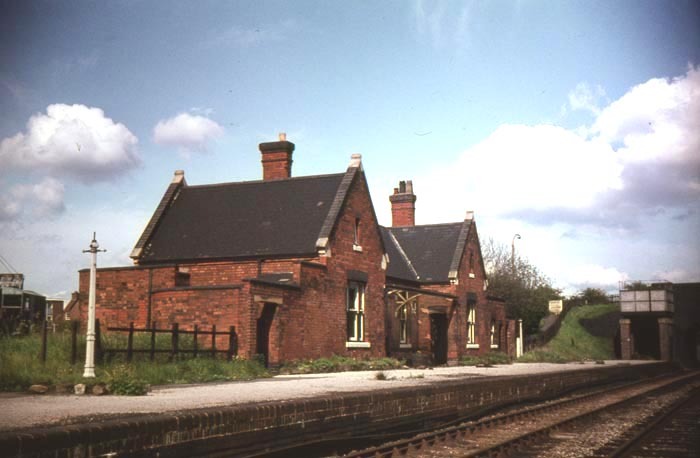 The station was in use as a Warwickshire County Council Highways Depot at the time. 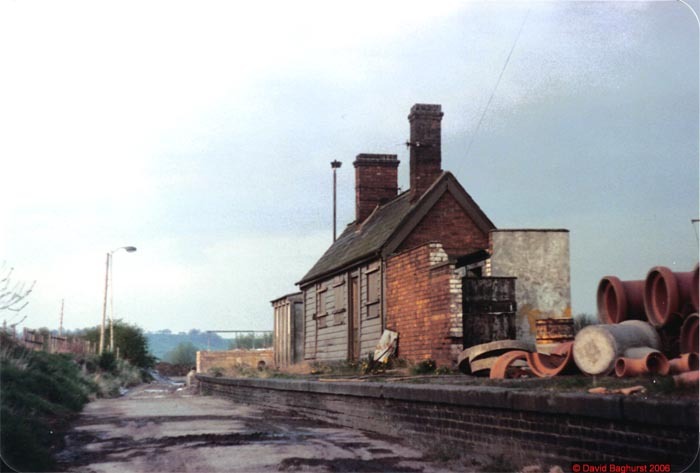 Broom Station - looking towards Alcester. Another view of Broom looking towards Wixford and Alcester. Broom Station looking towards Stratford and Evesham. Broom North Junction track bed to Stratford on the left and Evesham on the right. 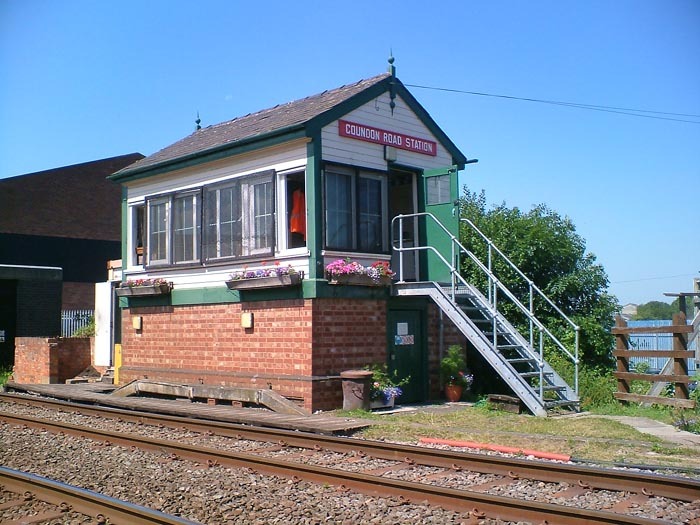 The signal box would have been on the very left of the picture and the turntable to the right. 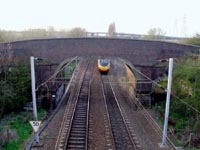 Just on the other side of the bridge stood Broom East Junction Box. 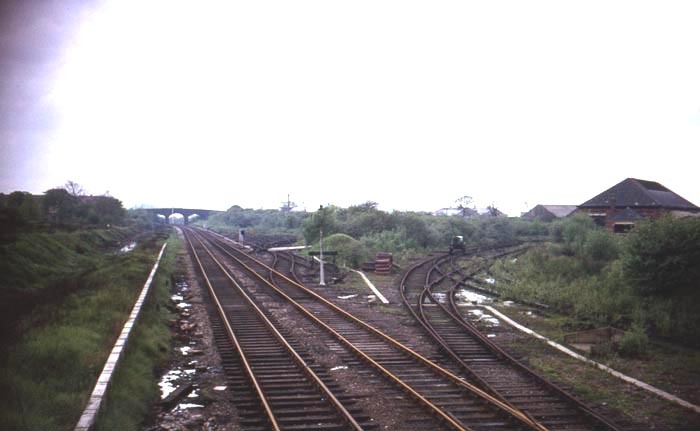 The left spur sweeps towards Broom West Junction box - this spur was added during the Second World War. 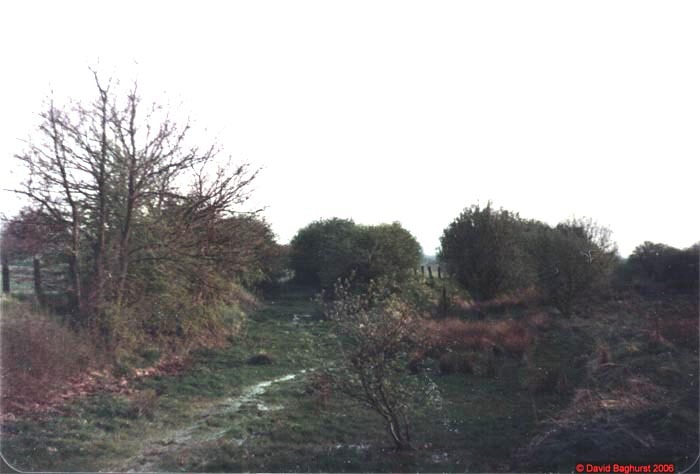 Track bed of the line between Bidford and Broom looking towards Bidford East Junction, just west of the Wixford to Bidford-on-Avon. 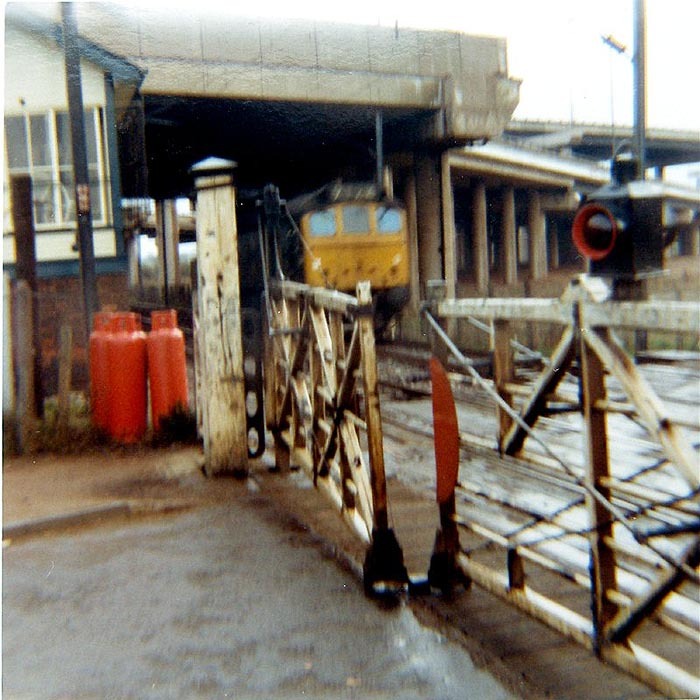 The following shots date from 1969 and are from a collection of slides taken by Dave Bathurst who is chairman of the Chasewater Railway. I offered to scan the slides into digital format for him and he kindly said I could use any I wanted on this site. 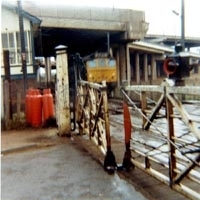 Aldridge station looking towards Streetly through Station Road bridge. 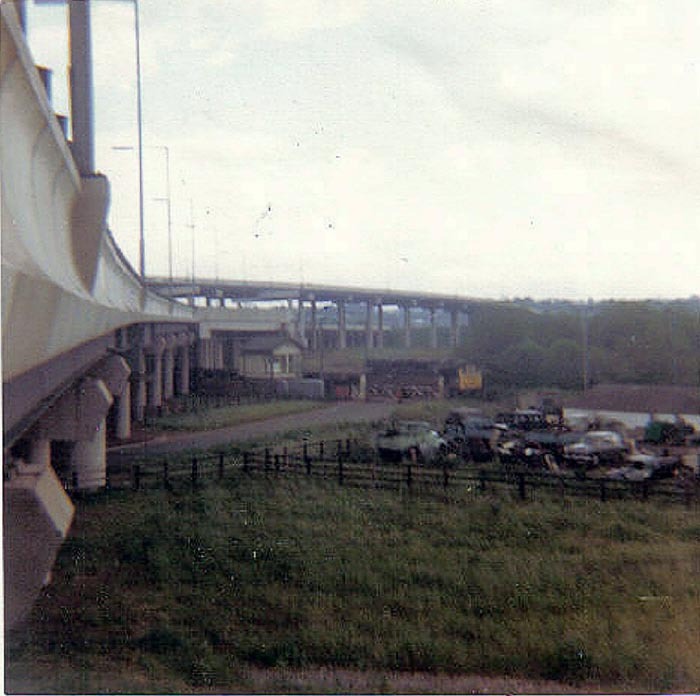 Aldridge looking towards Walsall from the mouth of Staion Road bridge. 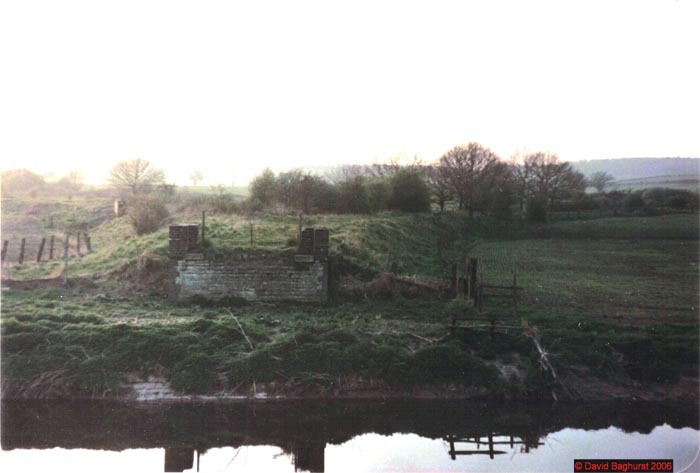 This excellent shot is taken from Station Road bridge and shows the Brownhills branch curving off to the right and the long-demolished goods shed. 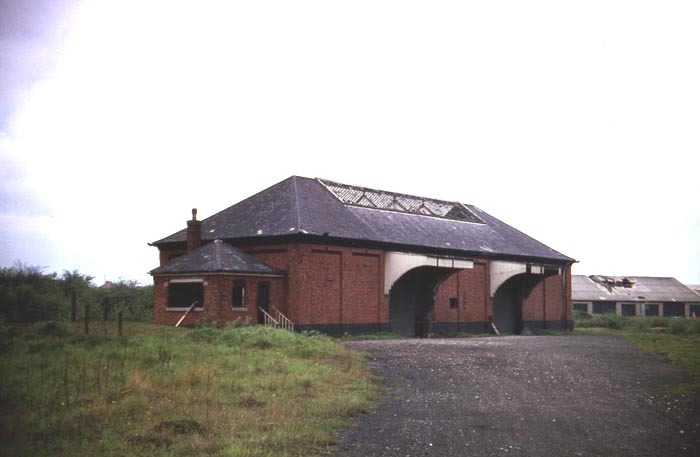 The Midland Railway goods shed on the Brownhills branch. 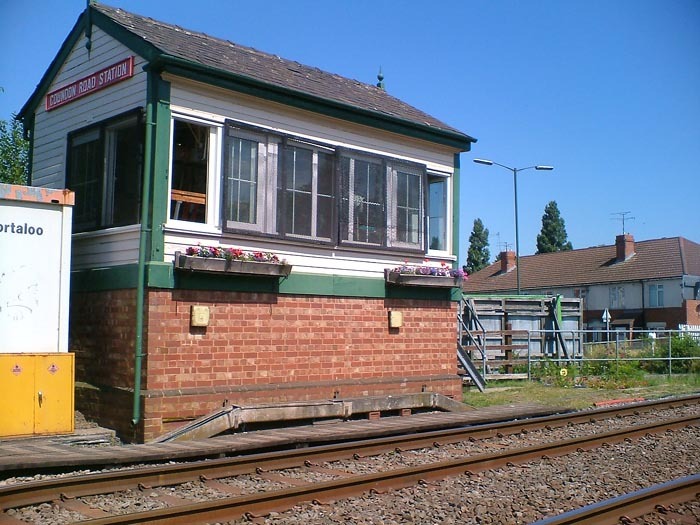 The following shots show Coundon Road signal box which controls the level crossing on the aforesaid road, the other side of which is the site of Coundon Road station. 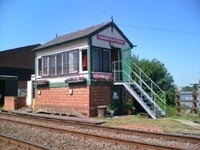 The photos were sent by Darren Towler who is one of the signalmen at the box. 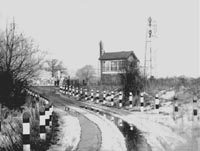 Coundon Road signals box, Coventry, near the site of the long-closed Coundon Road Station.